What is Traffic Done 4U? Traffic Done4U is a unique traffic site that sends traffic directly to your website which is the best kind of direct traffic you can get online. There are no text ads needed to get people to your site. The hits are direct to your site right from the start. Is there a free membership at Traffic Done 4U? No! All members of TD4U have purchased at least one of the 3 traffic packages available. We have 3 membership levels. Pro, Master, and Tycoon. The Pro membership gives you traffic to One site for 6 months. The Master package sets up traffic to two sites for 12 months, and the Tycoon Package gives you traffic to 5 Sites for Life. Your account never expires as a Tycoon member. Who sets up the traffic for me? We do. Your traffic is set up by the owners of the site, Jane Mark and Phil Basten of JAM Marketing Inc. We believe in a hands on approach. Once I order what happens? After you order you will receive a form that asks you for a title for your website, your website link, and the category you want your website to appear in. If you order the pro package, you will be asked to fill in your details for 1 website. If you order the master package, you will fill in the information for 2 websites, and for the Tycoon package, you will fill in the information for 5 websites. How long before I get traffic to my website? Generally you will start receiving traffic within 24 hours but it can take up to 48 hours depending on the category chosen, the day of the week, and the time of day your order is placed. Our traffic is set up by hand to suit your site. Will I get a login to monitor my stats? YES! Once your traffic is set up, you will get notice from Jane Mark or Phil Basten that your site is good to go and you will get a login at that time so you can always monitor your stats. Can I edit my campaigns once they start? The short answer is No with one exception. If one of your sites goes out of business, we will of course change that site for you but please choose your sites carefully from the beginning because this traffic takes time to set up and we cannot change your website links once your campaigns are active except on rare occasions. If you must change a link for any other reason than your site goes out of business, there will be a 49.00 link change and you will have access to that in the members area of Traffic Done 4U. Out of Business link changes are limited to 1 per account so please keep that in mind when submitting your links. Note: If you choose to send traffic to the same link or variations of the same link such as affiliate link or capture pages and that site goes out of business, we will only change 1 link for you at no charge. It is always best to send your traffic to different links so in case the site does go out of business, you can get that one link changed at no cost. Do you have an affiliate program at Traffic Done4U? Yes. It is only available to customers of Traffic Done 4U. Pro and Master members will earn 10% commission on any sale they make. Tycoon members will earn 20% on any sale they make. Any Tycoon member who makes 10 sales will earn 25% on all sales starting with their 11th Sale. How do I get paid commissions? 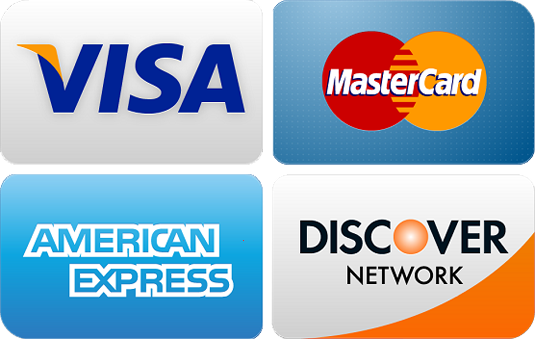 If you make a sale at TD4U, you can get paid by Paypal, Solid Trust Pay or by Check. There is no charge and no minimum to be paid by Paypal or Solid Trust Pay. To be paid by check, you must have a $25.00 minimum owed and there will be a $2.50 check charge deducted from any commission paid. We pay you one week after the payment has cleared and we pay each Friday. How do I contact Traffic Done 4U if I have a question. Please use the support desk to contact us. You will almost always get a response from us within 24 hours. Please use a gmail address for your correspondence with us so that you will get our answer. Who Owns Traffic Done 4U? What kind of link should I submit to TD4U? We display your website to our site members and it would be best to give us a direct link to your site when you submit your information form to us. We recommend that you refrain from using bit.lys or tiny urls or trackers as these are often given a false positive message by McAfee as being a risky site when it may not be. This will stop people from clicking on your link. For best results we recommend you send us a direct link to your site or use a unique link or capture page link that you can generate at sites like Onyalist. Many TD4U members use Onyalist to create capture pages they can use at TD4U - http://onyalist.com You will get a log in to monitor your stats. Do I Get a Log In To Monitor My Stats? Do I Get a Log In To Monitor My Stats? Yes you get a login just as soon as we set your traffic up for you. It takes about 24 to 48 hours for us to direct the targeted traffic to you and we will let you know by email when your account has been set up. How do your stats work? We use a 2 step process as we have found it to be more effective... We show you 2 different kind of stats in your members area. 1. We show them an image of your website and this is displayed across our networks. This is called a view. 2. When users click on your image we display your website in a separate window and we hold the user on YOUR website for a full 10 seconds. We call this a click and it creates a lot of activity for your site which search engines love to see. Yes You will be able to order Traffic to new sites that you may get involved in in the future. There is an order page right in the members area of Traffic Done 4U. You will not be able to edit your traffic but you can buy traffic to new links at any time you like. There are ad packages available as well ad individual link buys in the members area. Can I use a Rotator in TrafficDone4U? No you can't. We only accept 1 website link per campaign. When you join Traffic Done 4U, you will get an affiliate link in your members area which you can promote anywhere online and of course you can use it as one of your links for your TD4U campaigns. Many of our members do include their TD4U link as one of the links they send traffic to. Do I Get Free Advertising With My Traffic Done 4U account? Each Membership level at Traffic Done 4U gets FREE advertising at our flagship site, Sokule. You get huge feature ads running at Sokule and those feature ads run on high traffic pages. Pro Members get 480.00 free advertising for 6 months Master Members get 1460.00 free advertising for 1 year. Tycoon members get 8900.00 free advertising for Life. This advertising is a bonus in addition to the Traffic that we send to you every day all day long form our vast network of sites. In the members area, purchasers of our Traffic Done 4U Packages can purchase additional urls to add to their accounts at heavily discount prices. You must be a current member of TD4U to buy at discount prices. You can add indvidual links instead of a whole package and the charge for that is an additional 100.00 per link added. These are lifetime links.